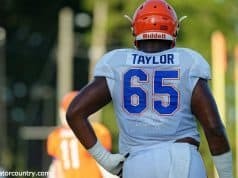 The Florida Gators built some confidence in a 48-10 win over the Colorado State Rams on Saturday to come back from a deflating loss to Kentucky in Week 2. It wasn’t perfect in any way, but improvements were made. Bailiegh gives her biggest takeaways, both good and bad, from the game. The score of the game would have been a bit different without some help from a few big special teams plays. From the looks of this team so far in 2018, the Gators could use every single advantage they can find. James Houston has played exceptionally well in the playing time he’s seen at linebacker and on special teams this season, and he made his presence known early against Colorado State. He got to Ryan Stonehouse before he could get a punt off following the Rams’ first possession and forced a fumble. Josh Hammond recovered it on the CSU 11-yard line, but Florida ultimately had to settle for a field goal for its first points of the game. Stonehouse’s night got even worse when Amari Burney blocked a punt late in the second quarter. He got so much of the ball that it rolled all the way into the end zone, and Tyrie Cleveland made a nice hustle play to jump on it and give the Gators a comfortable 27-0 lead. Freddie Swain made some noise in the return game with a pair of nice ones for Florida. He is not a prototypical punt returner, as he doesn’t possess the most impressive speed on the team, but he does have great vision and finds the blocks that help him get down the field. 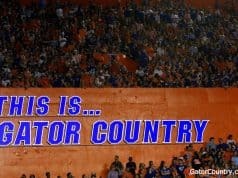 That is something Florida has been desperately missing in that phase of the game. There has been enough speed, but not enough smarts. Swain’s 22-yard return in the second quarter put the Gators in good field position inside CSU territory and eventually led to a touchdown, caught by none other than himself. The Rams took advantage of a poor start by Florida in the second half and brought the game back within striking distance, but Swain put it to rest with an 85-yard punt return early in the fourth quarter. It tied Anotonio Callaway’s return in the 2015 SEC Championship game for the fourth-longest in school history. While the Gators came out winners by a wide margin, the game looked much different in reality than it did on paper. Special teams was one of the few bright spots, and if it continues to play at that level, it could be the difference in some games as the season goes on. 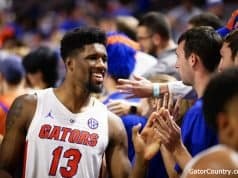 When Marco Wilson went down with a season-ending ACL tear last week, the Gators turned to a freshman to fill his shoes. Trey Dean is a talented player and has potential, but while he held his own with Kentucky, his inexperience showed against CSU. His tackling (along with several of his teammates in the secondary) was subpar and he let wide receiver Preston Williams get separation from him all night. A better offense would have taken advantage of it in a big way. Dean also picked up two unnecessary penalties late in the game, as a holding penalty negated a Brad Steward pick-six and a personal foul turned a third-down situation into a first-down for CSU in Florida territory. Those mistakes did not make a difference this time, but could be game-altering against a stronger opponent. Brian Edwards may be a better option to start across from C.J. Henderson while Dean continues to develop, but either way, the Gators have serious depth issues in the secondary, and the loss of Wilson highlights that fact more than ever. 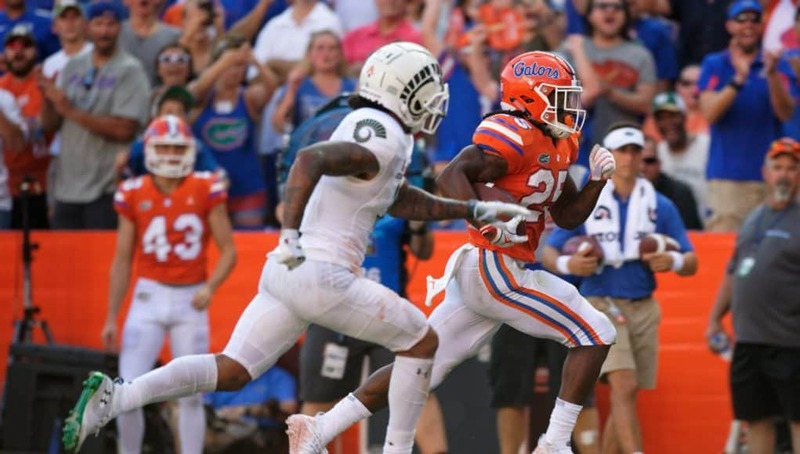 Florida’s running backs still didn’t have the game they potentially could have or should have had against the CSU defense, but did plenty to prove the point that when the ball is in their hands, the offense is better for it. Jordan Scarlett and Malik Davis only touched the ball one time apiece in the first quarter. Meanwhile, Feleipe Franks hadn’t completed any of his six pass attempts and had an interception. They finally started getting more carries in the second quarter, and it immediately made a difference in production. A 30-yard touchdown run from Scarlett followed by a run-heavy drive the following possession opened up the passing game for Swain’s touchdown reception. The noticeable improvement from the offensive line helped Scarlett and Lamical Perine make plays, with Davis only seeing limited action due to an injury suffered early in the game. The Gators finished with 222 yards on the ground, but were not led by the obvious suspects. Dameon Pierce got some carries with time running down, and made the most of his opportunities once again as he put up 87 yards on five carries, including a 68-yard touchdown run. Pierce has some real talent and could be a huge asset on the Gators’ offense in the future, but for now, it looks like the veterans will carry the load in the backfield. Franks only attempted 15 passes, and that is the kind of game Florida needs to play. If the line can hold up against SEC defenses, the offense can lean on its rushers.